Itron is the world leader in multi-application, standards-based outdoor networks for critical infrastructure. With more than 200 million devices deployed globally and more than a decade of experience building networks in some of the most demanding locations, Itron offers proven solutions and the expertise necessary to deliver smart city networks now and into the future. Streetlight.Vision, our central management software, operates in more than 500 cities worldwide, demonstrating proven performance on a global scale. With energy savings of up to 50 percent and 20 percent operational savings, smart street lighting is often the first smart city application deployed. We offer a range of options to transform your lighting fixtures into valuable smart city assets. 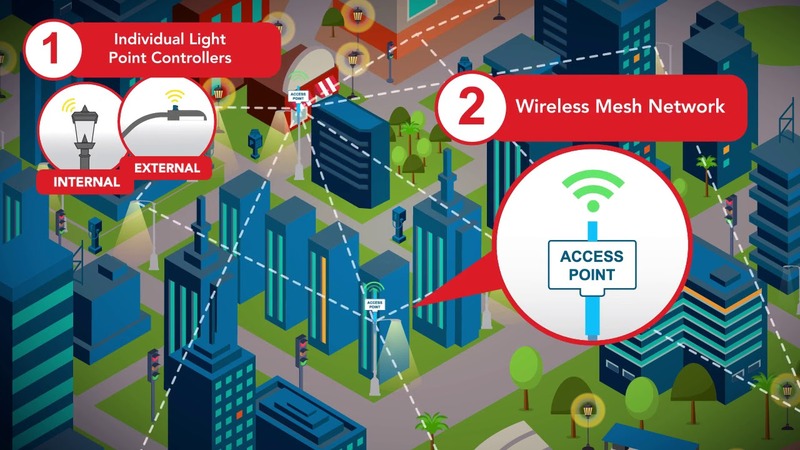 With a diverse range of devices and applications coming online, cities should demand a comprehensive back office software that supports modern, connected lighting while providing flexibility to manage new devices as their needs evolve. Streetlight.Vision (SLV) is the world leading smart city central management software (CMS), chosen by more than 500 communities to control more than 3 million intelligent devices worldwide. City leaders around the world have discovered that to realize the promise of smart cities, you need to deploy an open, standards-based network infrastructure that’s built for innovation and accommodates an array of applications and use cases, from networked street lighting to public safety and emergency response use cases. The Itron managed service model enables lighting operators of any scale from cities, municipalities and utilities to gain the benefits of centralized monitoring, control and real-time alerts for their smart city applications without having to worry about designing, building or maintaining citywide communication network. Through our Platform-as-a-Service solution for streetlights, Itron simplifies your experience to lighting as a service. Our expert technicians operate the in-field communications network, the cellular backhaul network and the cloud-based Streetlight.Vision (SLV) city management platform, enabling you to focus on managing and maintaining the streetlight infrastructure.